“Education Secretary Arne Duncan and Federal Communications Commission chairman Julius Genachowski on Wednesday challenged schools and companies to get digital textbooks in students' hands within five years”. According to the report, in the U.S. the industry of K-12 textbooks is an $8 billion a year market and textbook publishers have been working on digital textbooks for the past 5-8 years. The main stumbling block, according to textbook companies, has been that schools don’t have the devices required to fully implement digital learning. 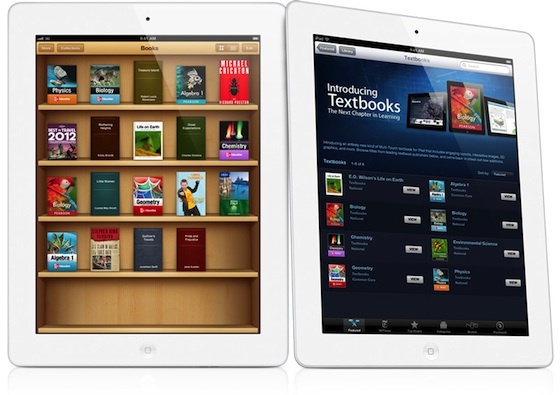 The starting price for iPad is $499, which is undoubtedly a considerable barrier for schools that will need to buy the tablets in large quantities, though Apple has been rumored to be planning to push down its entry-level pricing in the coming months by offering the iPad 2 along with the new iPad 3.